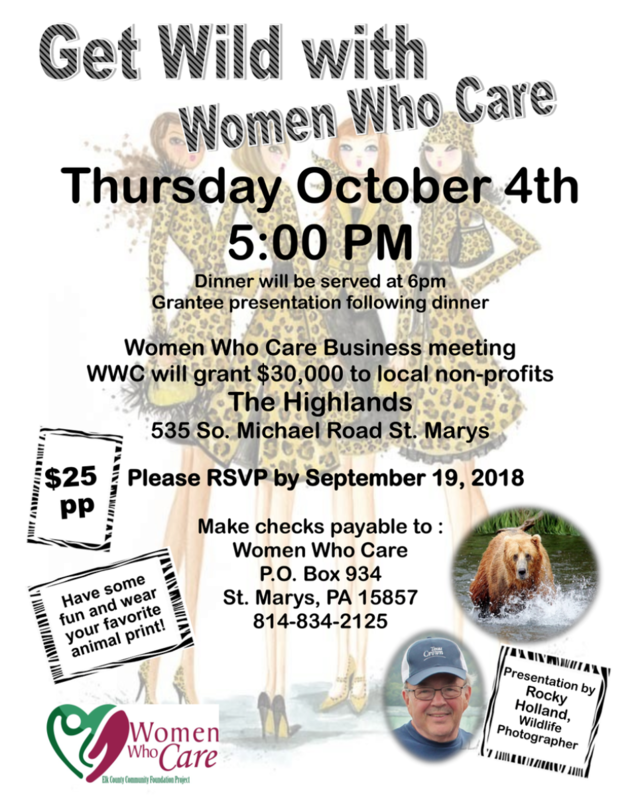 Women Who Care is a women’s philanthropic giving circle that pools the combined charitable resources of over 200 area women to fund projects that enhance the quality of life for women and their families in Elk County. Along with the satisfaction of making a difference in their communities, our members also enjoy events twice a year where they gather to network, learn about community needs and award grants. Each spring, we welcome members and guests at a social event that features an evening of friendship, entertainment, and education. In October, our Annual Meeting rotates among various locations in Elk County. Organizations that have been chosen as final grant candidates give a brief overview of their project to the members in attendance. The members vote on their favorite projects and grants are awarded. Along with learning all about exciting programs that are benefiting our communities, members enjoy great food, great friends, and an always entertaining evening. Dueling International Pianos! The 2019 Spring event was held at the Royal Inn in Ridgway on Thursday April 4, 2019. 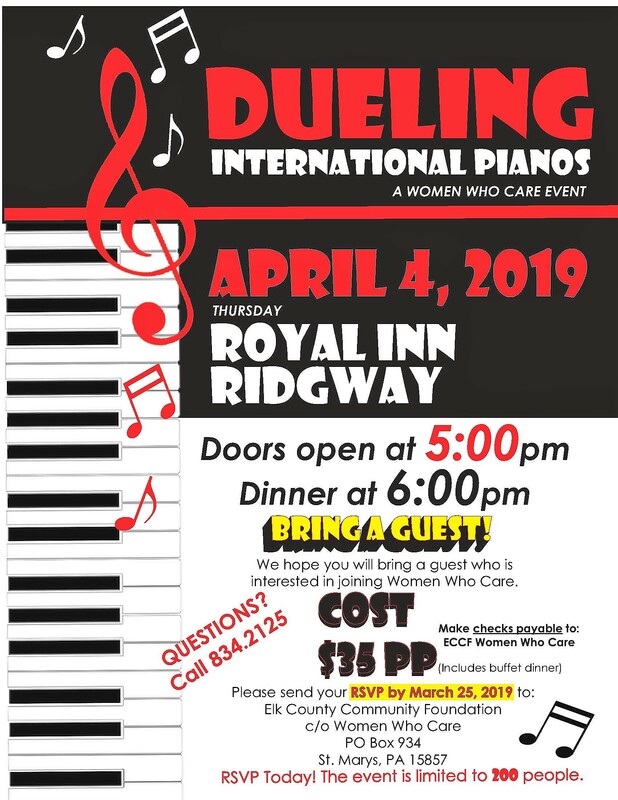 Dueling Pianos International provided outstanding sing-along entertainment for the 175 women in attendance. Members and their guests enjoyed a delicious dinner prepared by the Royal Inn Staff. Guest speaker for the evening was Ashley Kline representing the teachers of St. Marys Area Schools. She spoke about the Food for Friends Program that received funds from Women Who Care 2018 grants. This program provides weekend and holiday break meals to elementary school age children who would otherwise not have nutritious and adequate meals on non-school days. Women Who Care hosts two events each year for their members: the spring social event and the annual business meeting. Women Who Care invites all area women who seek to support community needs in Elk County to join our amazing group of women. It’s a very affordable way to do a lot of good in your community! Get Wild with Women Who Care! The 2018 Annual Business Meeting of Women Who Care was held at The Highlands in St. Marys on Thursday, October 4 with close to 170 members, guests and presenters attending. The membership awarded $30,000 in grants to nine-non-profit organizations. The Donor Advisor for a Day award was won by Lynette Kraus who awarded her gift to the Elk County Humane Society. During the meeting Doris Stackpole, a founding member and the first chairperson of WWC who passed away this year, was remembered for her role in establishing the organization. The crowd was entertained by a fascinating slide presentation of beautiful wildlife photos presented by Kane photographer, Rocky Holland and his wife Marcy. 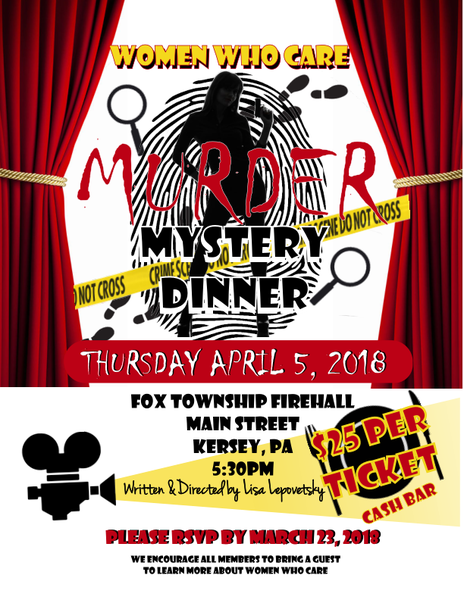 Our 2018 Spring Event featured a who-done-it Murder Mystery at Fox Township Firehall in Kersey. The cast was made up of members of Women Who Care who did a fine job of portraying the characters. The Fox Township firemen even pitched in to help remove the victim’s body! Over 170 members and their guests enjoyed the fine food and entertainment. Our 2017 Annual Meeting was held at the Laurel Mill Golf Course in Ridgway. $26,000 in grants were awarded to organizations chosen by our membership. Along with a wonderful dinner, the Men of the Elk County Concert Choir presented us with a hilarious array of songs that lent a very festive atmosphere to the evening. Grants were awarded to 8 organizations including 4-H via PSU, Boys & Girls Club of St. Marys, Civil Air Patrol, Guardian Angel Center, Life and Independence for Today, Ruling our eXperiences (ROX), Tricounty Rails to Trails, and Workforce Solutions & MEAA. Who doesn’t love a Game Night! Our 2017 Spring Event at The Dam Inn featured the Family Feud Game. After the fierce competition, the winning team won the opportunity to award a $500 donation to a 501c3 organization of their choice. The Family Feud winning team of Lucy Bobby, Nancy Hoffman, Bev Yates, Bea Terbovich and Abbi Peters chose ECCOTA as the recipient of their $500 charitable gift. Our 2016 Annual Meeting, “Road Trip”, was held at the beautiful Elk Country Visitor Center in Benezette where $24,000 in grants were awarded! Members also enjoyed wagon rides and elk viewing. 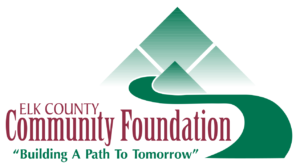 Grants were awarded to 7 organizations including Community Nurses, Oak Manor, Ridgway Free Library, ECCOTA, Wilcox Public Library, Boys & Girls Club of St. Marys, and the Johnsonburg Knothole Association. Several members also became “Donor Advisors for a Day” when their names were drawn for the opportunity to award $500 to a charitable organization of their choice. The 5 lucky recipients were Johnsonburg Community Center, Wilcox Volunteer Fire Department, Ridgway Little League, Junior Achievement, and Manufacturing Employment & Education Advancement. Women Who Care held its 2016 Spring membership event in April. The event featured Patsy Cline impersonator, Heather Olsen. The Highlands located in St. Marys hosted the evening where the women enjoyed a great meal and were entertained by the songs of Patsy Cline. The event was a great way for current members to bring potential guests to learn more about the organization.